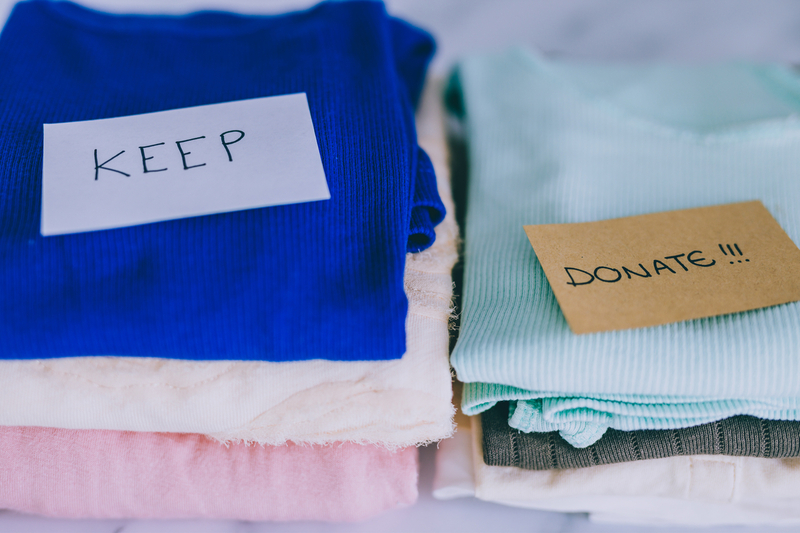 If you feel like you have lots of clothes but nothing to wear, you might find that simply by decluttering your wardrobe you can give your clothing options a whole new lease of life! Not only will it make you feel like you have more options than you thought, you’ll be less likely to go out shopping feeling that you have nothing to wear. According to research by Weight Waters, the average person in the UK has over £200 worth of unworn clothes in their wardrobe. 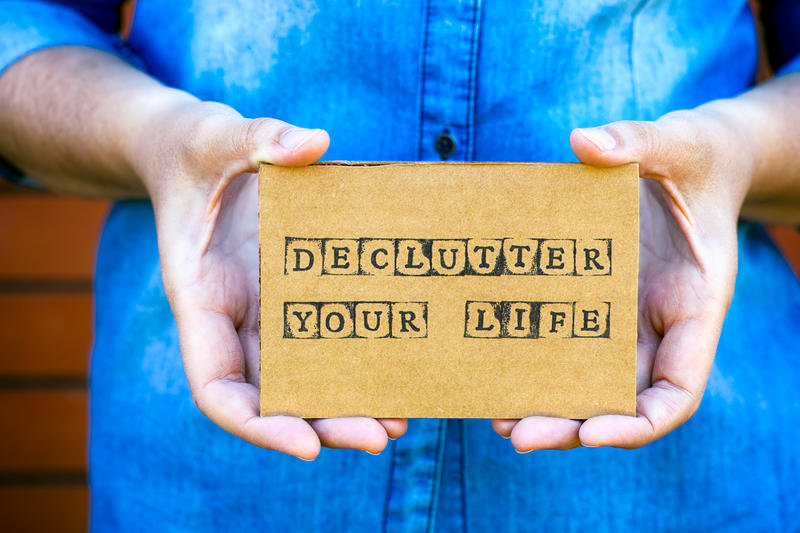 With the rise in popularity of decluttering due to experts like Marie Kondi, people are now starting to let go of items that won’t bring them joy or purpose. By simplifying your homes you could find that you are simplifying your life in the process. 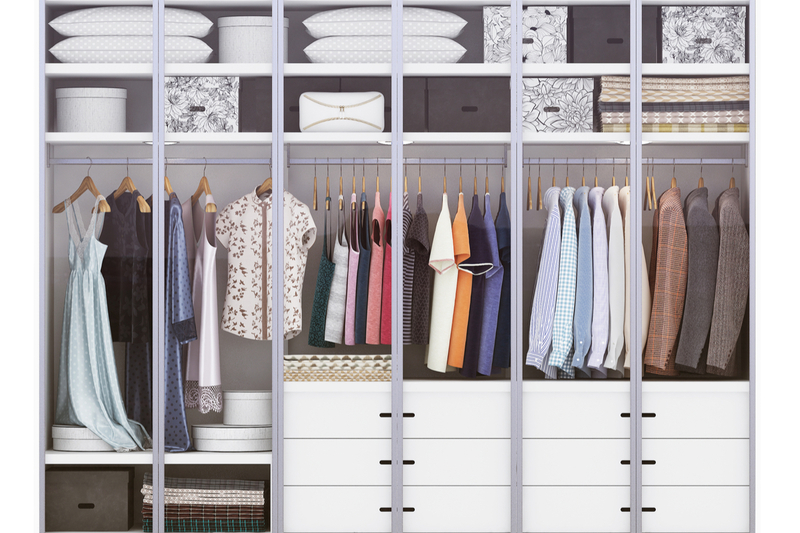 For a complete look at your wardrobe and to really see what you have, empty the contents and give the inside of your storage space a good clean. Remove those unused shoe boxes, clothes packagings, wire hangers and anything else that has been stuffed away out of sight but serves no purpose. Give it a vacuum and wipe down so you’re starting with a blank canvas. Go through each item and assign it into one of three piles – keep, sell or donate. You’ll be surprised how much money you could make if you sell certain items on sites such as eBay and Gumtree. Try and be brutal and if you haven’t worn something for a year, think carefully about whether you’ll wear it in the future. Get rid of anything that is faded, misshapen or beyond repair and if you’re keeping anything for sentimental value, box it up and put it in storage. Your wardrobe should only contain items that you’ll wear. Don’t forget to do the same with shoes and handbags too. Take the items you’re donating to your local charity shop and list any items you want to sell, don’t leave them languishing in piles. Separate your summer and winter clothing to give you much more space – although only do this if you have space in the loft or under the bed to store the items you won’t be wearing for the season. Use vacuum storage bags to protect your clothes from moths and moisture. Once you’re left with just the items you want to keep, hang them up in categories such as dresses, tops, outerwear, party wear, shirts and knitwear. If you have shelving, use this space for Jeans and trousers. When hanging the items keep similar colours together and make sure you can easily find items that you’ll wear. By doing this exercise you’ll be amazed at how many clothes you’ll have forgotten about, giving your wardrobe a new lease of life. At Urban Union our properties have been designed to maximise storage space – and as a result you’ll find that you have lots of places to store out of season clothes and helping you to live a more organised life. See our developments and contact us today for more information.